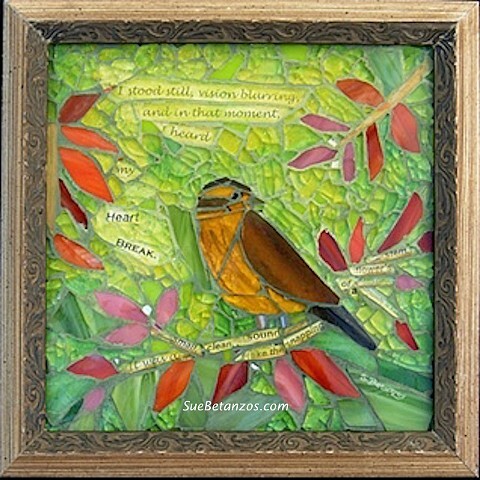 Glass Mosaic with sparrow and quotes by Sue Betanzos. This is a really sweet piece - another favorite. From a literature series I am working on.